The big news coming out of Monday Night Raw this week had nothing to do with what happened in the ring. Instead, it was a local advertisement that aired in Honolulu, Hawaii promoting a WWE Live event. The reason this is such a big deal among all of the wrestling fans around the world is because of the two main events of the evening. John Cena has been the most polarizing wrestler in the WWE for the last decade. Shinsuke Nakamura took over the landscape of NXT after he arrived at NXT Takeover: Dallas. For the first time ever, these two Superstars will meet in the squared circle for a match at a WWE Live event taking place June 29. This is huge for numerous reasons. First off, John Cena is at the point in his career where winning titles is not his main priority anymore. Sure, it would definitely be interesting if Cena was thrown back into the title picture. But that is not where he is at anymore. This match is what Cena is made for. A 5-Star match with no title on the line. 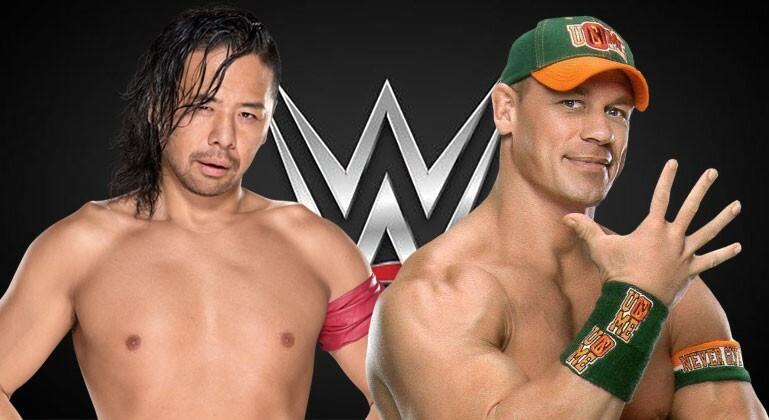 Nakamura is at a point in his career where he needs a big match to propel him to the top of the WWE. Look no further than John Cena. This is a win-win situation for both Superstars and this match should tear the house down. The other two matches that have been announced for this WWE Live event: Kevin Owens vs. Brock Lesnar and Asuka vs. Charlotte. Two huge matches and both have a chance to impact the future of the WWE and NXT. Let’s look at them both individually. KO. The man that has been either one of your absolute favorites or a person you absolutely can’t stand. Brock Lesnar. A beast that can’t be stopped. These two will meet and it will definitely be interesting to watch. 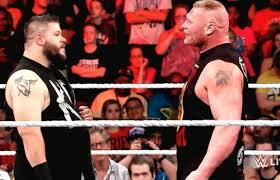 Kevin Owens has one of the most athletic move-sets that I have seen from a wrestler of his stature. Lesnar bases his wrestling off of brute force. How the two styles of wrestling match up will be interesting and hopefully this will become a feud that develops throughout the summer. Asuka and Charlotte. This match is between two great technical wrestlers who are at the top of their respective brands. Asuka will bring the violent style of offense that helped her capture the NXT Women’s Championship, while Charlotte will use her deceptiveness to help her out throughout the match. This match, just like the Cena/Nakamura match, will benefit both brands. Asuka will have a chance to prove her dominance as the NXT Women’s Champion and Charlotte can continue her roll as WWE Women’s Champion. All three matches are exciting and will definitely be fun to watch. The WWE has announced this will be a WWE Network Special. With the caliber of matches already announced, it will be interesting to see what other matches will be put on this card.